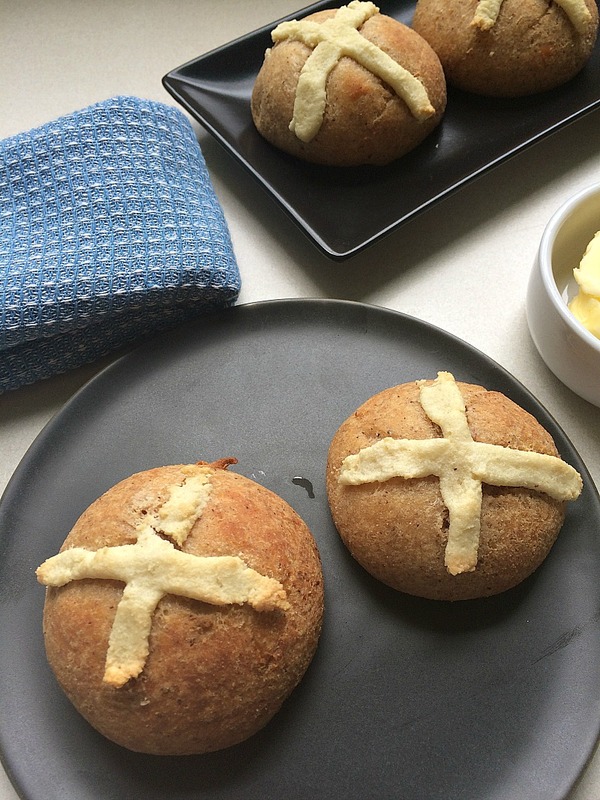 I had been trying to create a low carb hot cross bun recipe and despite my attempts with almond flour, coconut flour and my trusty psyllium husk powder was not happy with the results. It is rather difficult to make a low carb version of something that would normally have dried fruit in it too. The trick of a low carb hot cross bun is with the spices. The heady mix of cinnamon, nutmeg and cloves hit the spot and tasted as much as a hot cross bun that I was going to get. You could add chocolate chips if you wanted to see a replacement for the dried fruit, but I didn’t try it. 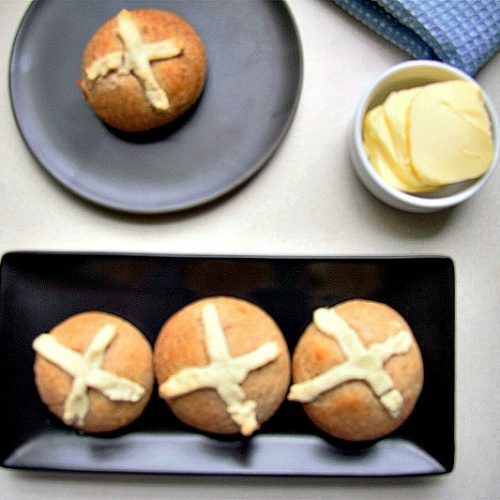 The traditional cross on the bun was made using an almond flour solution. I had previously tried to pipe it on the low carb hot cross buns but the mixture was a bit thick. So, I ended up gently rolling out little sections of the almond flour paste and spreading them out on the bun. After the 4th attempt I felt happy with them. Until the Chief Taster commented that they needed working on. Brave words from a man who relies on the wife to feed him. I stored the left over hot cross buns in the fridge and gave them a quick zap in the microwave to refresh them. Perhaps they could be sliced and toasted? 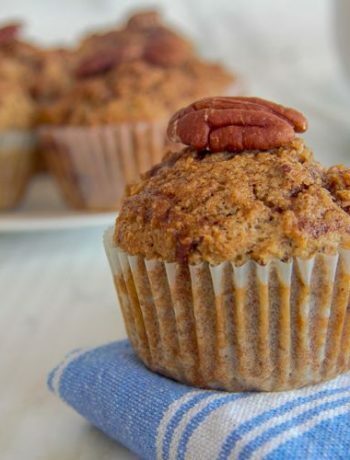 In a bowl mix the coconut flour, erythritol, spices, salt and baking powder. In another bowl, place the mozzarella, butter and cream cheese. 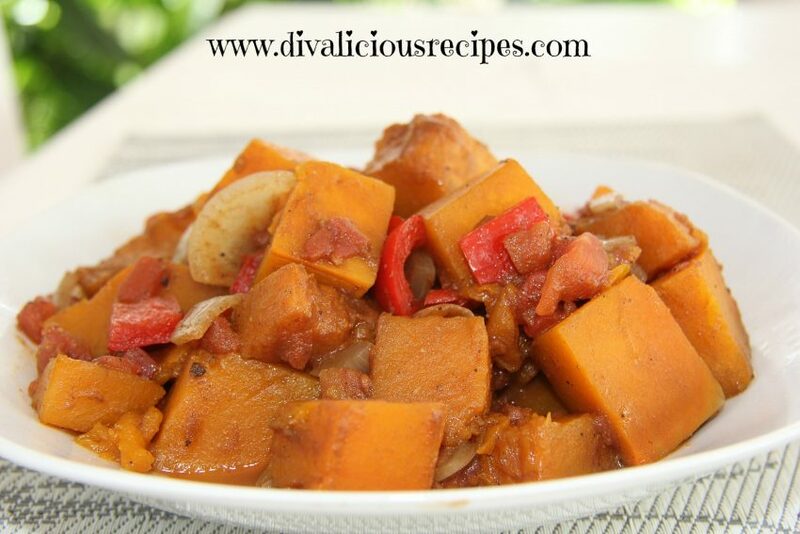 Remove from the microwave and quickly stir. Add the coconut flour mixture and work into a dough. 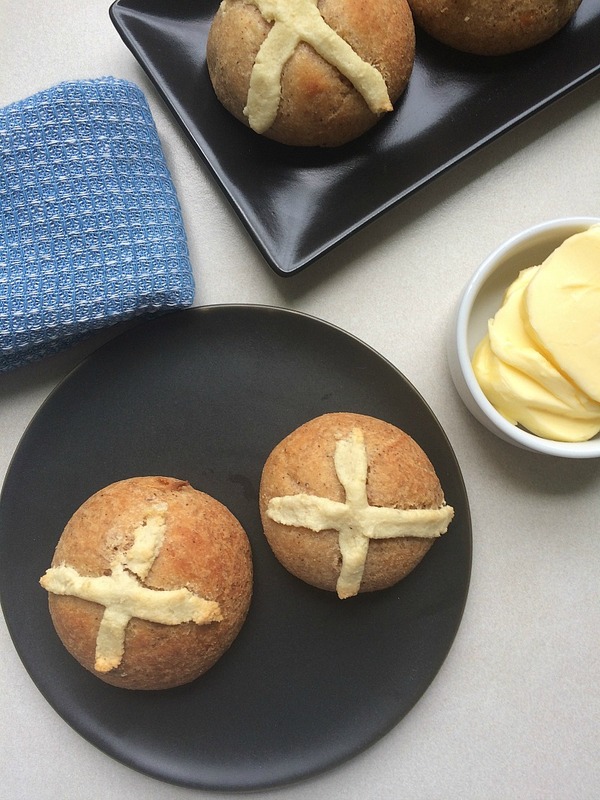 Create 6 balls from the dough and shape into a bun. Place the buns on a parchment paper lined baking tray. To make the cross, mix the almond flour with the water until you have a thick paste. Either pipe onto the buns or gently roll into a strip and place on top of the bun, flattening out once in place.